The Alaskan Malamute is probably one of the oldest breeds of Arctic dogs used for sledding and they originate from Alaska. Their main qualities are endurance and strength. The instincts of the Malamute are those of a pack dog, with a propensity to sledding. They are quite big in size and have strong bodies, they love to dig and sometimes go through trash cans. Their dimensions allow them to attack and even kill other animals if left unsupervised, no matter if cats or other smaller creatures. It is imperative to start the training of these impressive dogs when they are very young, as this will ensure a good behavior later on. Malamutes are used to extreme weather conditions and they can easily adapt from this point of view. They should get plenty of daily exercise in order to burn out their energy and not to turn destructive. While these dogs are not to be left loose, unsupervised, keeping them tied to a chain is also not a good solution. They need to be stimulated from both mental and physical points of view in order for them to develop healthily. Although some believed that the Malamute is made for only one owner, the fact is that they can adjust perfectly for living in families of people, provided they get the necessary level of training and socialization, which are the key points of being a well adjusted dog. The Malamutes are a large breed of dogs with solid builds, managing to grow up to 65 centimeters tall and weighing up to 40 kilos. The males are usually larger than the females, which only grow up to 60 centimeters and gaining up to 35 kilos as weight. 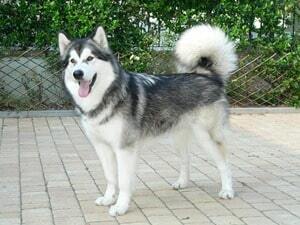 The Malamutes have thick coats, both the outer and under coats and will shed consistently at least twice per year. They are colored white in the belly area and not all of them have facial masks. It is considered that purebred Malamutes have brown eyes and the ones that happen to have blue eyes are considered as being flawed by breeding organizations. The abilities manifested by the Malamutes when sledding are truly amazing, being far more agile for their big statures than anyone would expect. But these qualities were the ones which made the Malamute be a freighting dog in the past. The ideal environment for the Malamutes is indeed the outdoors, but they can adapt well to the indoor living as well. It’s hard for inexperienced owners to handle an Alaskan Malamute, so having previous experience is recommended. 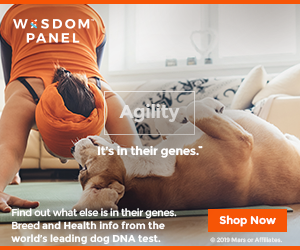 The people interested in getting an Alaskan Malamute should be aware of the health concerns for this breed of dog. These are, mostly, hemolytic anemia, which is a disorder of the blood, the hip dysplasia, some kidney issues and dwarfism. The Malamutes requires brushing at least a couple of times per week. They are pack animals, similar to wolves and they tend to be protective, so good socialization is mandatory. They also require consistent physical exercises on a daily basis.